Been falling back into my cozy pattern of working from home and booking weddings/portraits/seniors....feels like home. Feels right. Good stuff. This is just a kindly little update on what will be going down in the next 10 weeks as I prepare to become a mother to three kids. First, MARCH - March is nearly here and I will be booking all I can through the month to fit in folks before summer and maternity leave. 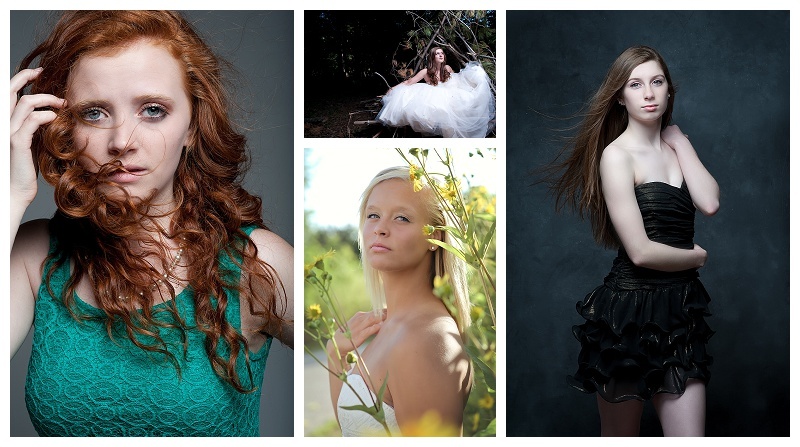 The 2 biggest events: SPRING FLING MINI SESSIONS, taking place on March 19 & 20th, and Senior Model Studio Sessions. Since I will be going on maternity leave in April and not returning until mid-May, this will be the only time to get in spring portraits with Type A for Mother's Day, Easter, etc. I have put together a series of spring-inspired backdrops and will be offering 2 full shooting days to accommodate everyone. I still have open times available on both days! I've had quite a few folks interested in being Senior Models for the Class of 2017. We've gone ahead and scheduled their in-studio sessions for March. I am still seeking a few ladies to fill in some open Model Spots! If you are an area high school junior and you're of the gal variety, I wanna talk to you! Studio sessions will be completed in March and then on-location sessions can be done at any time. Senior Models receive huge discounts AND incentives! I have been booking up Summer 2016 but I still have a few dates here or there for Fall 2016 before I shut it down completely. Now that I am no longer working a full-time non-photography related position, I can take on more weddings. Woot! So, if you're a little behind the 8-ball planning wise, I'm happy to chat! October, November, and December brides and grooms? This means you! 2017 is open for business as well! Best way to reach me? Pop on over to the contact form and send me a message about your plans! SPEAKING of plans.....plans are shaping up for this summer. I still feel it's completely surreal that come June, which is just a mere 4 months away, I'll have another ginger baby (odds are) on my lap! Exciting things are in store for 2016, for sure! Like LOCATION, LOCATION, LOCATION. The lease on the old Type A/Tin Dog/What-have-you/Downtown State St. building is up in July (no worries, audiophiles, Tin Dog will still be there). With that change is a move coming....an EXCITING move. I can't reveal TOO many details about it yet, suffice it to say I am JAZZED about the new home of Type A and everything that's coming with it! Namely, I won't be shooting in about 200 square feet of no space anymore....PRAISE THE LORD. So yeah, I've had quite a bit going on in February....it's been a month of definite change and upheaval....which honestly is kind of fun (scary as all get out too!). I've started a little side project and I'd LOVE if you'd go check it out, if it's up your alley. One of my "hobbies", I guess you could call it, is personal finance. I friggin' love personal finance books, blogs, articles, whatever. Yeah. Nerd. I know. Yawn. I promise you, though, it CAN be interesting! It can! I saw a real need for an honest look at debt repayment, budgeting, and making the whole money management thing work and still LIVING life....so I started my own PF blog called The Pudgy Gazelle. Thanks for hangin' in, folks. I've gotten SO many awesome messages in the last few weeks since resigning my full-time director position and it's made me feel very good about my decision.